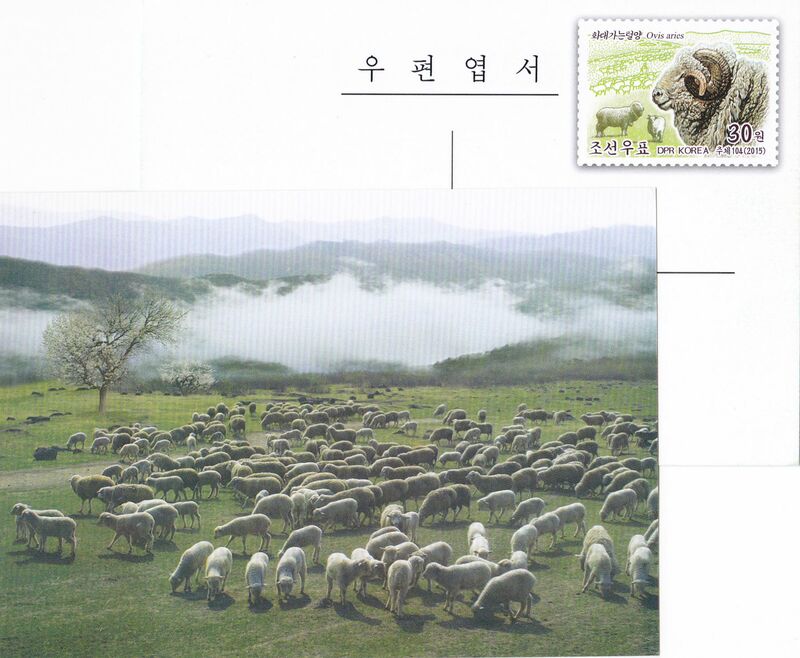 L9377, Korea 2015 "Sheep, Ovis Aries", Postal Card. MNH. Please refer the picture.